Sprayed on convertible top, 3 days later ended up driving in the rain for 2-3 hrs and was amazed at how the water beaded off from it!! Very happy with how the top looks with Fabric Guard on it too! I have used this on my convertible top and it works perfect. All 303 Products that I've tried work and work well. This Fabric Guard is no exception. I used it on my outdoor furniture cushions. You can't tell it's there until they get wet and then the water just beads up. Great stuff! I used their cleaner and used the Fabric Guard after it was dried. When it rains the water just beads off. I wish I had gotten this long time ago. ProsWorks, must have for convertible. I have used a few different protectants on a convertible top. The 303 Fabric Guard has outlasted the other two products I had used originally. While the car is only on the road during the summer months (and the top is usually down) it easily lasts a full driving season. In fact, the first season I used it I was shocked to see how well the water was still beading when washing it in late fall. ConsMay want to consider brush application so you don't have to deal with overspray. Not much of a "con", but you need to let it dry thoroughly before use. Used 303 on my fabric convertible top. One bottle did the job with great results. Color restored,water beads up and there is no absorption. 303 Fabric Guard is great stuff! Goes on easly and the water really beads up when rained on or during a wash. Tried the other well know product with less thatn spelctacular results. I use this two or three times a year and that seems to keep the water beading up on my BMW convertible top. Ordered this for a 15 y/o convertible which sits outside all year long in Maine. I had never treated the top prior to this year. I thoroughly doused the top with the 303 Fabric Guard and the color was restored with excellent water repellency. I will now treat the top more frequently than every 15 years . I've used other 303 products--always with great results. I bought this for the cloth top on my Mustang convertible. It was to cold here in Pittsburgh, Pa to do the Mustang so I tried it on some brand new winter cloth top New Balance shoes. One coating and the shoes look great and the water and salty slush does not soak in. 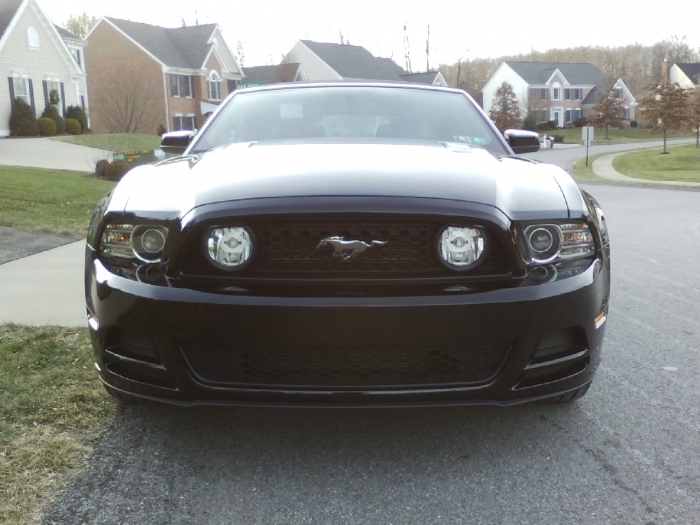 I hope to do the Mustang top this spring. ConsDo not get it anywhere you don't want it. Wonderful product Please read both pros.and cons. Easy to use. Cover the car from any overspray!. and Follow directions. ProsPerformed two treatments according to directions on a new topped Honda s2000. The before, and after empirical results were truly definitive, and distinctive of each other. Whereas as a test , when using a garden hose with a spray head the new 2 week old untreated fabric top did soak up some water. After two treatments, then a re-test using the same garden hose and nozzle settings even with the same climatic temperature, the water literally just beaded off the top of the fabric. Any standing water remaining on the fabric assumed an almost spherical shape that failed to permeate the fabric and, eventually evaporated. See cons. ConsThe pro comment was for initial use and performance. Being that it has only been a short time since application I cannot comment on any long term performance. This is a great product .after applied 2 coats on my convertible top waited 48 hours I tested it by pouring water on the top and it beaded right up &rolls off,helping the fabric to dry faster, this is awesome product. Applied this to a 3 year old replacement top on a BMW 323, after using the 303 surface cleaner. I tried to mask the glass and rubber from over spray but it wicked under and got every where. Masking was not worth the effort. After the product set (and lots of clean up of the glass), water beads and runs off the top so fast the beads bounce over the seems. This stuff works so well you can't get the top wet enough to wash it! Just kind of blast off any dust with the hose and your good to go. ProsWorks better than expected. Great product. ConsHard to keep off the glass and trim. I have a Jeep JK with a soft top, used this product and it works wonderful. I cut a dish sponge in half and sprayed onto the sponge and rubbed a light coat on. Used very little of the product and the top looks great and water beads up now instead of soaking into top. I needed to apply waterproofing to my Sunbrella boat cover. This is what the manufacturer recommends, and it does the job well. It did take 2 bottles for a 20' boat. I tried another brand first but did not like it & found 303 products by perhaps chance. I bought my 2012 Camaro brand new and this works much, much better than what I had tried first. If you have a Fabric Top then this is the best. How do I know because I can see the water just roll off my top if I get in a rain storm or of course a car wash. Product was so nice I used it twice. Goes on easy beads water very well! Proseasy to apply. No bad odor. No stains/ drips so far. Will have to wait and see how it protects. Using a brush did not work for me. However the product performed perfectly. Watch out for the overspray, it can be tricky. Take the time to tape off you won't regret it. I can give this a very good review. About a week after I applied it for the second time, I spilled a few drops of coffee on the cloth upholstery. I wasn't able to get to it for a few hours, but when I did, it wiped off. Pretty impressive. Beware, this stuff must be stored between 32 degrees and 90 degrees. For most of us, that means indoors. Also, it requires good ventilation to use. Pretty poisonous stuff, I guess.